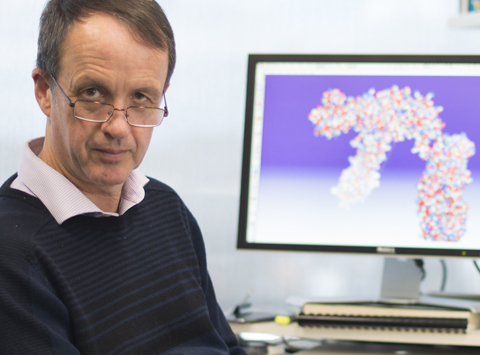 Melbourne scientists investigating how immune T cells are formed have discovered a previously unrecognised ‘quality control’ step that may protect against autoimmune diseases such as type 1 diabetes and multiple sclerosis. 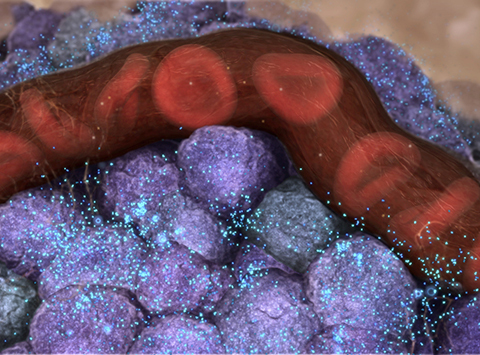 in the development of immune T cells. The research into T cell development within an organ called the thymus revealed for the first time that a protein complex called LUBAC enables ‘quality control’ of the cells before they are released into the bloodstream. T cells are an important component of the immune system, orchestrating immune responses in reaction to infections. The thymus is like a ‘school’ for T cells, training them how to fight infections and eliminating the ‘naughty’ cells that have the potential to launch dangerous autoimmune attacks on the body’s own tissues. Only a small proportion of the T cells that begin their development ‘graduate’ and are allowed out of the thymus, into the bloodstream – the rest do not survive. Dr Charis Teh, Dr Daniel Gray and colleagues made the discovery, published in the journal Nature Communications, when investigating the link between faulty LUBAC and T cell defects. Dr Teh said the team were surprised to discover that LUBAC was important for a very late stage of T cell development within the thymus. “Since the function of the thymus was discovered by Professor Jacques Miller almost 60 years ago, there has been an intense research effort to reveal the intricate details of how immune T cells develop,” she said. “By showing that LUBAC is essential for T cell development, we also revealed a new stage of ‘T cell education’ that had not previously been appreciated. We’re excited by the prospect that this new checkpoint may be important for ensuring autoimmune T cells are not allowed to complete their development,” she said. “In most people, this prevents the development of autoimmune diseases such as type 1 diabetes and multiple sclerosis,” Dr Teh said. body against viruses and bacteria. Dr Gray said the team hoped that by understanding the newly discovered process better, they may be able to develop new approaches to ‘switch off’ autoimmune T cells. “This may have therapeutic applications in the future for treating autoimmune diseases,” Dr Gray said. “Another interesting aspect of this research relates to rare inherited immune disorders caused by defects in the genes that encode the components of LUBAC. Our research has provided new insights into how these disorders are linked to faulty T cell function. This may inspire to new immune-based therapies for these conditions,” he said. The research was supported by Diabetes Australia, the National Health and Medical Research Council, Cancer Australia, the Australian Research Council, the Leukemia and Lymphoma Society (US), the Wellcome Trust (UK), and the Victorian Government Operational Infrastructure Scheme.